Well, it’s another day in paradise. It’s a very cold winter day, I’m not feeling so great, and my to-do list is not getting any shorter. Today is one of those days that I feel like hiding from the world and pushing the pause button on life – just so I can hide under the covers and cuddle with my dog. Ah – but, that can’t happen. I have two boys in school, the groceries are not going to buy themselves, and hiding under the covers all day – well, that’s just kind of frowned upon. Just when I feel kind of human, and ready to tackle my to-do list, I realize that it’s already time to pick up the kids from school. Oh man – that means my time is not mine anymore – boo!!! Sometimes I feel like I get greedy with my “alone time”. It is SO nice not to get interrupted while trying to be productive and enjoying peace and quiet! BUT – it is only 30 degrees outside today and I would feel like a terrible mom if I am completely available and capable of picking my kids up from school but chose not to. So, off I go to the high school to sit in my car and wait for my oldest to come out of the school and get in for the ride home. Me and about 20 other moms and dads dutifully picking up our prides and joy! As soon as my oldest gets in the car with one of his friends, “Yeah, ours is the dirtiest car!” comes out of his mouth. I guess he is a little embarrassed of our 10 year old mini-van which has not seen a carwash for a very long time  He also notified me that when I texted him “Luv you” at his lunch-time that “everybody” saw it and that it was a little embarrassing. Oops! Well, I guess that is what moms are for, right? 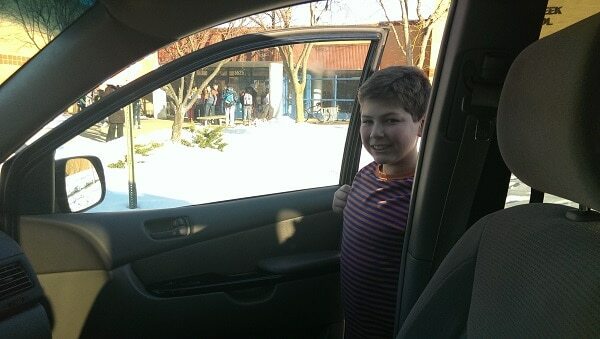 I dropped him off at home, and his friend to her respective house, and then it was off to the middle school to wait in yet another car pick-up line for my youngest. Of course, while waiting in the car I make attempts at being productive – catch up on phone calls, check my emails, read the paper, etc. But, the thought sometimes enters my mind – there are so many other things I could be doing with my time right now. So, if you have kids, and you find yourself sitting in the car pick-up line wishing you weren’t – consider yourself lucky. Because just like a country song I know – you’re gonna miss this! 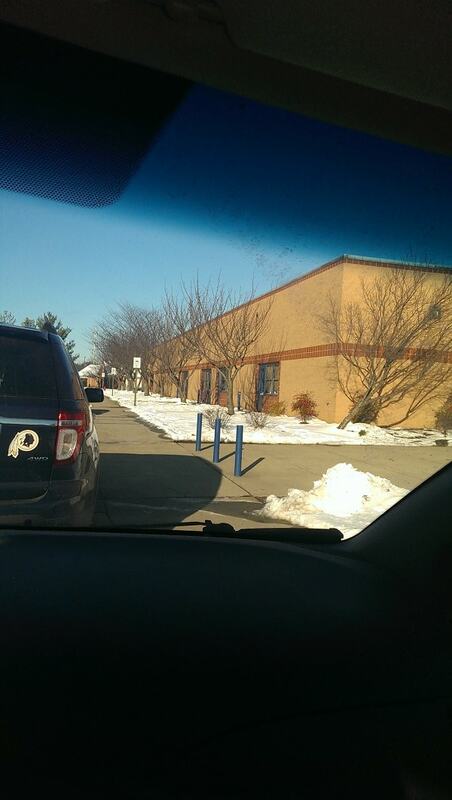 DIdn’t I see you driving out of BCMS with your sliding door open one monring? LOL! Nah, easier to fix the door! Mine acts up in the cold sometimes also. and mine is a 2000! Yeah – I think we will probably run our car into the ground before we take on a car payment again – lol! Where was this blog, when I lived in Frederick, haha.. Anyways, I saw your link from Bloggertunities.. I have to admit, waiting in line at the elem schools up there was a complete nightmare.. After we moved down here to VA, people aren’t as crazy.. So crazy. Nice to “meet” you Natalie! 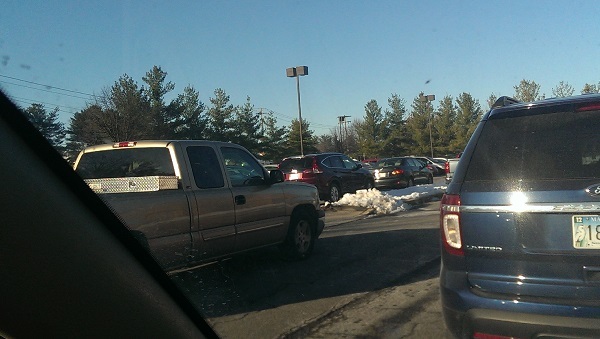 Yes, you’re so right about it being a nightmare at pick-up at the schools – craziness!